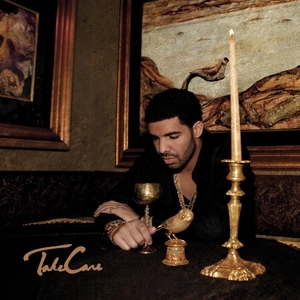 Drake’s sophomore effort, Take Care has been critically acclaimed ever since its 2011 release. Today, I take a look back at what has made this album a borderline classic for many hip-hop/R & B fans, and how it has stood the test of time in the constantly changing world of music. In 2011, Drake was coming off his debut from 2009 entitled Thank Me Later. The album was received well by most, and led to several features for Drake in the coming year. As Drake prepared to drop Take Care, he wanted to shoot himself to superstar status…it is safe to say he accomplished that and all more by winning a grammy for his efforts. Take Care is a dive into Drake’s soul as he deals with the new spoils of fame and the pressure that comes with being documented 24 hours a day by the media. This album has a little something for everyone. Drake unleashes a roar of confidence through his swagger and delivery in songs like The Motto, and he explores his vulnerability in songs such as Look what you have done. However, the biggest standout for most, including myself, is the track entitled Marvin’s Room. This moody, melodic record showcases drake at his lowest point. Drake is intoxicated and reminiscing over a woman he has lost and begins to leave messages on her phone. The fame, glory, and love Drake receives on a daily basis means nothing to him if he can’t have this woman. What made this song unlike that of any other was the fact that it showed a rising star breaking down, showing that even celebrities are normal individuals like the rest of us. At the time, Drake became a pioneer for modern hip hop and rap. Previously, the world had never seen such vulnerability in the world of hip hop. Most lyrics consisted of drugs, strippers, money, etc. While Drake has later embraced that side of hip hop as well, in 2011 he paved the way for artists to express their actual emotions and be able to relate to an audience more effectively. Perhaps this is why even in 2018, Take Care is still being played and has lasted for years. It was the first album of its kind, and artists such as PARTYNEXTDOOR, Dvsn, SZA, etc. have all followed Drake’s footsteps and have changed the hip hop landscape forever. I decided to rate this album, seven years after its release and see how well it has stood today. My ratings were based on 5 categories, Replay ability, significance, lyrics, delivery, and if it can easily be related to. Overall, this album is a must listen for both hip hop and non hip hop fans alike.